Our event in Des Moines last week generated thousands of tweets, to the point that the #socialirl hashtag briefly hit Twitter’s worldwide trending topics. We wanted to share some of the great insights captured in those Tweets, along with some of the blog posts from attendees recapping their key takeaways, and are pleased to include a selection of links below. We also want to take another opportunity to thank our presenting sponsors CDS Global and Catchfire Media for making the event possible, and for the tremendous support they both gave. We’d also like to thank local event partners Iowa Innovation Gateway, Central Iowa PRSA, Startup City Des Moines, and Downtown Des Moines, as well as the Science Center of Iowa for the great venue and incredible onsite support. Thank you to each of our speakers, Geoff Wood, Liz Nead and Ken Miner, and of course a very special thank you to Brian Solis for the valuable insights and inspiration. Finally, thank you to the 230 attendees who were part of the event, traveling to Des Moines from a five state region and representing more than 80 different businesses and 17 schools, colleges and universities. 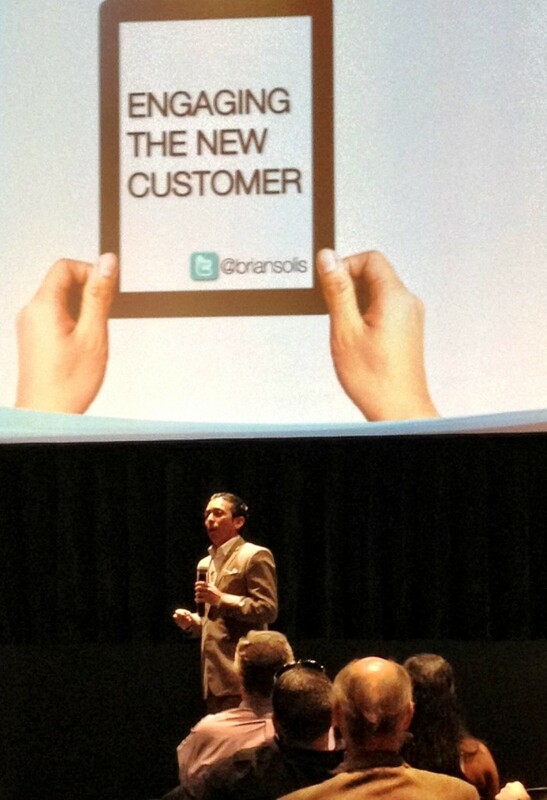 Want to learn more from Brian Solis? Social: IRL will be heading to New York in October for Pivot – the exclusive two day conference Brian curates and hosts. An amazing opportunity to learn from an array of business leaders and innovators, and to connect with 500 attendees representing some of the very brightest minds in the industry. Register using the exclusive discount code BeyondVIP and you’ll save 30%. Meantime, save the date for August 30. Social: IRL is headed back to Des Moines with another very special event. Join Social: IRL and Social Media Explorer’s Jason Falls for “All Business, No Hype, Social Media.” A special pre-sale is underway now, with discounted registration rates available until June 30. After June 30, regular registration rates will apply. The above represent a selection of attendee recaps we’ve seen posted. Please send us the link if you have a recap you’d like us to add to the list.